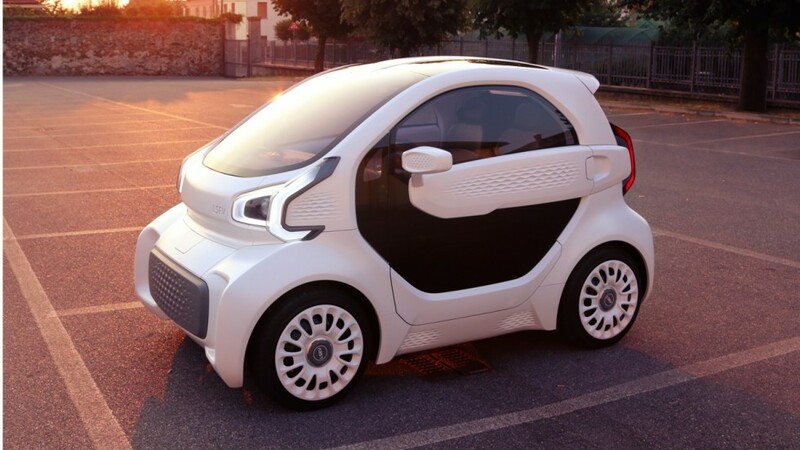 Three-dimensional printed cars will soon find their way to driveways and cul-de-sacs all across the world as the first mass-produced vehicle of its kind aims to revolutionize the auto industry. Cars are a pretty big investment. They are also quite necessary for some and quite desirable for others. So why not keep the second part but drop the price? That’s what Italian-based electric car company XEV and 3D-printing material company Polymaker want to achieve with a tiny but adorable car called the LSEV. “XEV is the first real mass production project using 3D printing,” said Dr. Luo Xiaofan, co-founder and CEO of Polymaker, during a recent press conference at the 3D-Printing Cultural Museum in Shanghai. According to CNBC, the printed car will weigh just around 450 kgs (992 pounds), takes just three days to print, and will bring you back under $10K. The secret behind this price tag, Polymaker says, lies in the 3D printing process itself. The company managed to shrink the number of plastic components that go into the vehicle from 2,000 to just 57. This makes it much faster and cheaper to print, but also lighter than any comparable vehicle. Apart from the chassis, seats, and glass panes, every visible part of the car was 3D-printed. It does come with limitations, however – this isn’t a sports car. It’ll do up to 43 mph (around 70km/h), and a single charge will cover about 93 miles (150km). Not good if you’re trying to cross the border to Mexico in a hurry – but really handy when you have to zip about through a crowded city. The vehicle’s relatively small dimensions also help in this regard. People seem to agree with me: as XEV reports, they’ve already received 7,000 orders for their car, despite the fact that production should start sometime in the quarter of 2019.